This April, there’s one international trade event for bridal retailers that should not be missed: Essen’s European Bridal Week. 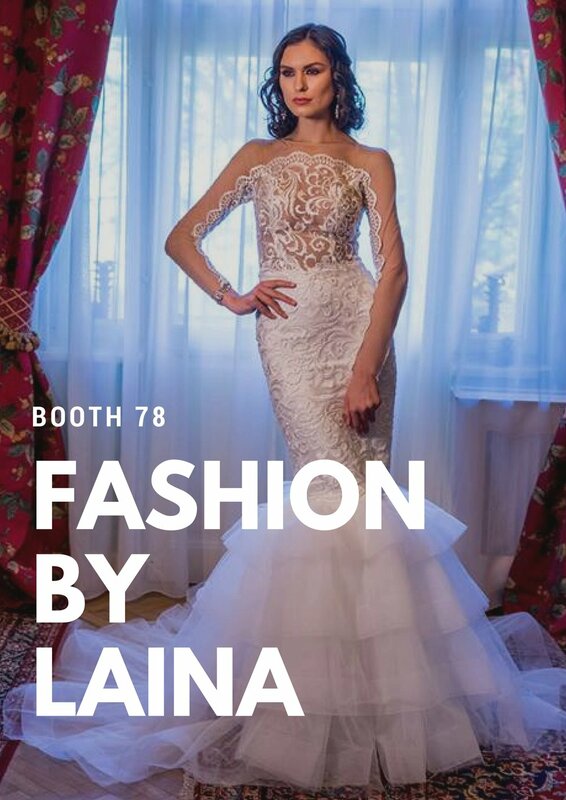 Fashion by Laina is thrilled to be present with its luxurious 2018 bridal collection Rȇve de Fleur collection and a preview in international premiere of its 2019 fairytale wedding dress collection. The European Bridal Week in Essen is one of the most prestigious bridal tradeshows for retailers, bringing together innovative European bridal designers and the leading bridal manufacturers. It’s a fantastic opportunity to enjoy the newest collections and the latest in European couture bridal design. In our 2018 wedding dress collection, bridal retailers have a wide choice of sensational backs, sweetheart and V necklines to complement the classic and fabulous A-line gowns and the sensuous, fit-and-flare mermaids and fishtails. With this collection, we combine the classic with the innovative and bold to offer something WOW for every bride. Enjoy the entire wedding dress collection here or request your retailer’s wholesale lookbook here. See our most popular wedding dresses taking over the catwalk at Mariage Fest, Romania. The 2019 wedding dress collection is a show-stealer featuring the prettiest, most dramatic details that will have you swoon over. Take this opportunity and join us for European Bridal Week to discover an international preview of our 2019 never-seen wedding dresses. The new bridal collection encompasses seduction, ravishing femininity, sophisticated elegance, dramatic detailing and luxurious fabrics fit for royals. We will be in booth 78, make sure you book an appointment to enjoy private fittings with our model. Don’t miss Fashion by Laina at European Bridal Week! Are you ready to be captivated and inspired by Fashion by Laina’s wedding dresses? Book your appointment here or request your retailer guide at client[@}fashionbylaina.eu. Our sales rep Aida is looking forward to guiding you through our exquisite bridal dresses and tell you all about our European-based manufacturing process and in-house design. Look for us in BridalBiz Magazine.